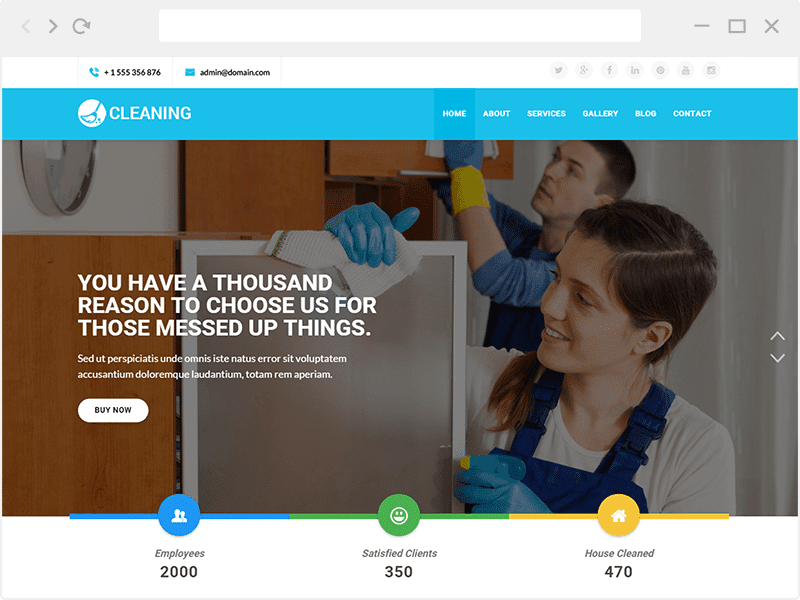 Cleaning is a beautiful WordPress theme for cleaning service company, maid service company, maintenance and general service company. 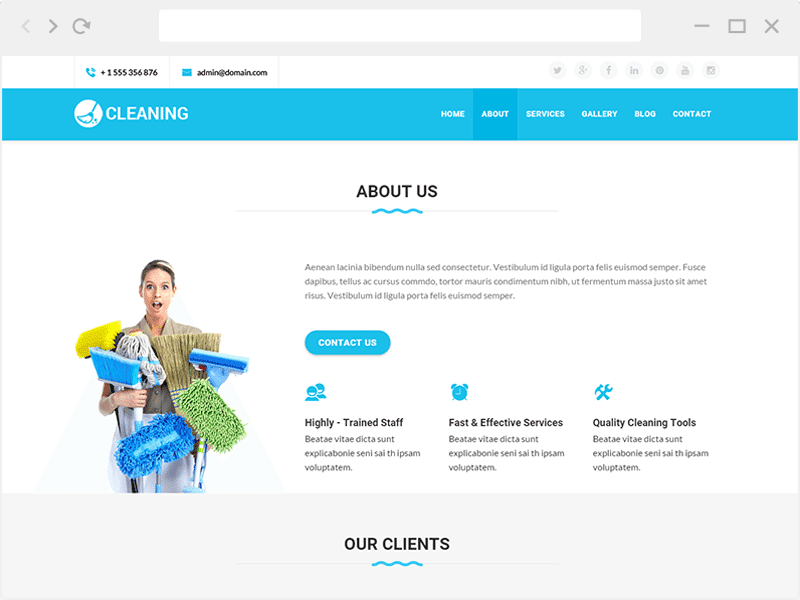 It was designed as a simple, clean and fresh Cleaning Service Company site. With a good ux, your reader will easily get information from your site without getting bored. 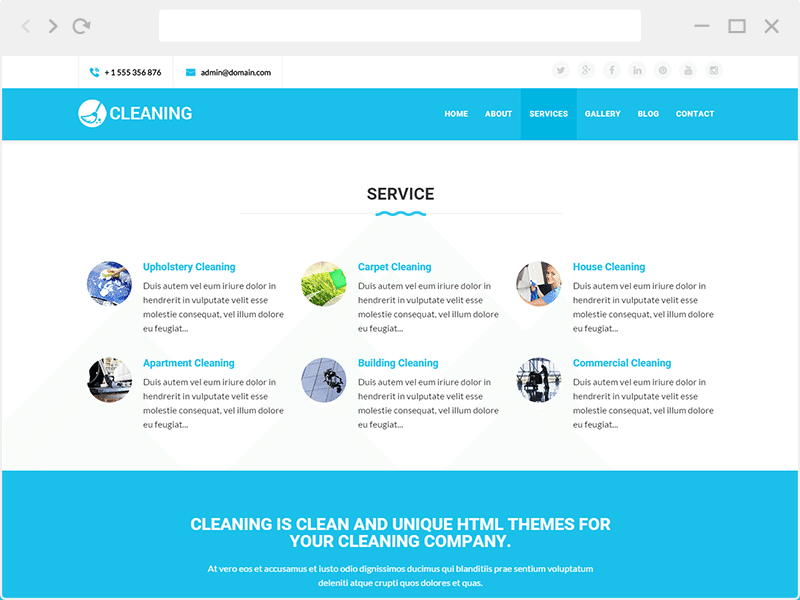 Altough it’s a cleaning service company site, Cleaning also suitable to be converted to any use of company. Cleaning has everything you need to get users attention to your app. Cleaning is fully responsive, it looks stunning on all types of screens and devices (desktop, notebook, tablet and mobile). If you face problems with this template just contact us via support tab. Font Awesome & Cleaning Icon. In this section we will describe to you what Finance Header Option have. Testimonial post type allow you to make a client satisfied words or anything related. Allow you to make a Service Post. With this template you will be able to add a lot of image in gallery box.